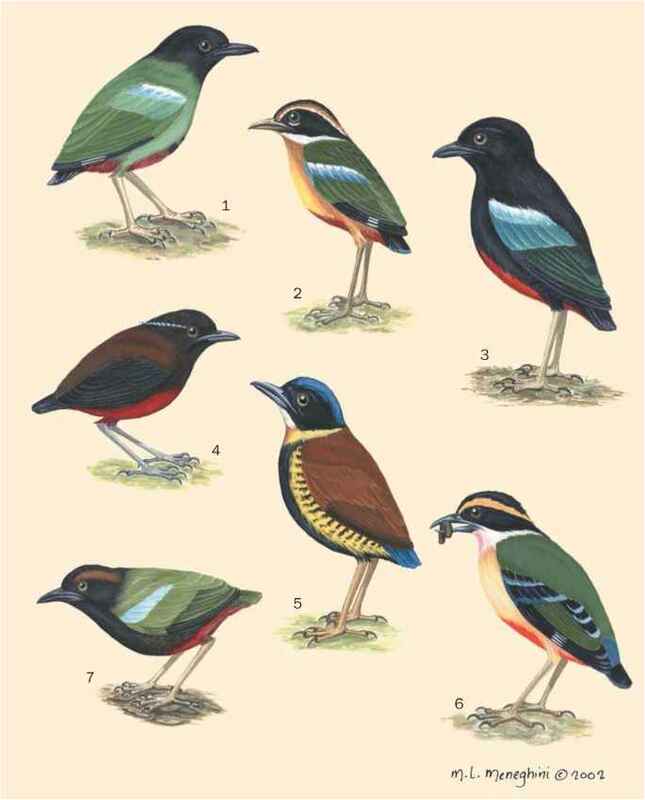 All the species of dipper are extremely similar in physical form. All are stocky birds, with short, rounded wings with a concave lower surface (the ninth to seventh, or eighth to sixth, primary feathers being the longest), a short tail with broad, round-tipped feathers, sturdy legs and powerful feet, and a short, compressed bill without rictal bristles. The preen gland is unusually large for a passerine bird and the body-feathers are water-repellant. Some species, such as the American and brown dippers, have an almost uniformly colored plumage; others, like the Eurasian and white-capped dippers, are strikingly marked with white. Bright colors are absent; plumage is usually gray or brown, sometimes strongly rufous, but blues, greens, and yellows are not found. All species have white surfaces to the eyelids, conspicuous when the eyes are blinking, and prominent nictitating membranes.